The Mental Health Partnership Council is now the Behavioral Health Council. For more information, contact Joel Hoepfner at hoepfner@ceicmh.org. The Capital Area Health Alliance Mental Health Partnership Council continues to align stakeholders and system leaders to improve the behavioral health landscape in the tri-county area. The Partnership Council provides updates, information, resources, and opportunities surrounding access to care and the behavioral health service delivery system, health and wellness promotion, training opportunities, community educational events and policy initiatives. The current interest and intent is to build upon the history and success of this longstanding committee in order to advance the tri-county behavioral health service system and all the resources and supports that surround it. Goal: Increase the number of individuals that access behavioral health services (inclusive of mental health and substance use disorder services). Improve access/availability of treatment for Substance Use Disorders and mild to moderate conditions (i.e. co-occurring mental health and SUD) by improving the care coordination, access and referral protocols, policies, and practices of the behavioral healthcare service delivery system. Support the implementation of the Tri-County Crisis Intervention Team Training for area law enforcement officers. Improve access/availability to psychiatric in-patient services by tracking denials and advocating for improved policies, practices, and statewide mandates. Support and assist in the Community Mapping activity (Lead by Sparrow Hospital) to inform the CHIP Behavioral Health Committee plan and activities. Continue to explore Integrated Care opportunities, grants, and partnerships between primary care, mental health, and substance use disorder provider networks. Create list of behavioral health interventions and support, promote, and expand the implementation of these efforts. Provide continuing medical education to behavioral health provider networks and behavioral health education to primary care networks. Develop and begin implementation of a Behavioral Health Promotion Campaign (inclusive of suicide prevention, substance abuse prevention, and wellness activities, events, and opportunities) to reduce stigma surrounding access to behavioral health services and improve community health and wellness. The MHPC meets the third Wednesday on alternate months. Meetings are held at Community Mental Health Authority, 812 E. Jolly Road, Lansing, MI 48910 unless otherwise noted. If you are interested in becoming involved with the MHPC and attending a meeting, please contact the Alliance at connect@cahealthalliance.org. Updates on the revision of language in Section 298 of the Governor’s proposed boilerplate budget. Section 298 initially proposed a dramatic shift in how behavioral health services were to be funded, and sought to move oversight to private, mostly for-profit health plans. Details about CMHA-CEI’s 24/7/365 Central Access Department expansion, which provides care coordination for serious mental health issues, intellectual disabilities, severe emotional disturbances, and substance use disorders. Development of the Crisis Intervention Team (CIT) Training. The Lansing Police Department, along with NAMI Michigan, CMHA-CEI and several other area stakeholders, have developed a 5-day CIT curriculum. The primary focus of this training is to equip law enforcement, first responders, corrections officers and dispatchers with the necessary skills to work with individuals in a mental health crisis. 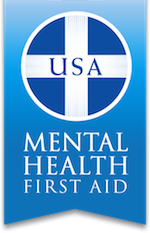 Promotion of Mental Health First Aid, which is an 8-hour course designed for community members and organizations. This training gives people the skills to help someone who is developing a mental health problem or experiencing a mental health crisis. It helps to build mental health literacy, helping the public identify, understand, and respond to signs of mental illness. Mental health was identified as one of five top priorities of the 2015 Healthy Capital Counties Needs Assessment report. The MHPC intends to align their efforts with the strategy plan identified by the behavioral health subcommittee of the Ingham County Health Department’s Community Health Improvement Plan.